Obituary in Antigo Daily Journal [Wisconsin], 29 August 1940, Page 9. "Joseph Pergler, 74, died early this morning at his home in the town of Neva, [Wisconsin] after a a week's illness." 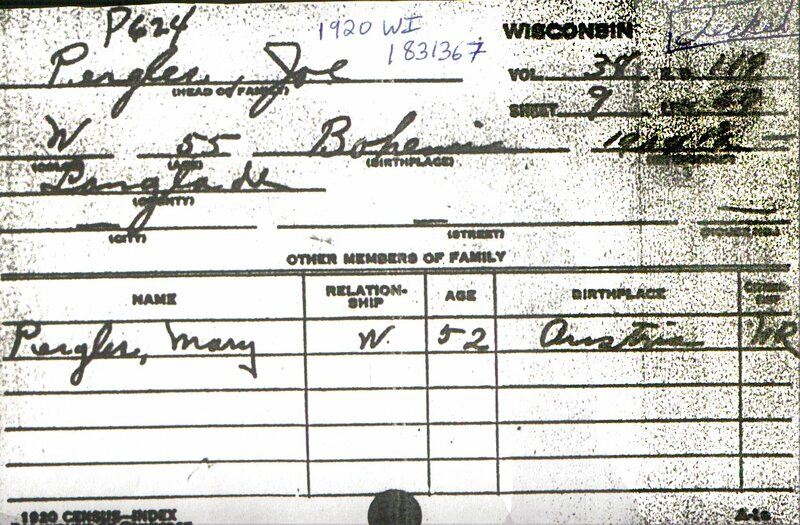 "Born in Czechoslovakia he came to Langlade county [Wisconsin] 27 years ago  from Chicago [Illinois]." "He leaves his wife [Wife#2]; three children by his first marriage [to Mary Pergler]; and a step-sister, Mrs. John Zajic [Jennie/Johana Pergler Zajic] of Chicago [Illinois]. His first wife preceded him in death [Mary died in 1933]"
"Funeral arrangements have not been completed." Immigrated in 1904 (His Father & Step-Mother immigrated in 1887, He was likely married at that time and unwilling/unable to join them).